Our Stories — Recycle Night - Recycle Right! Aaron is 21 years old and lives in Ganmain with his sister and grandmother. 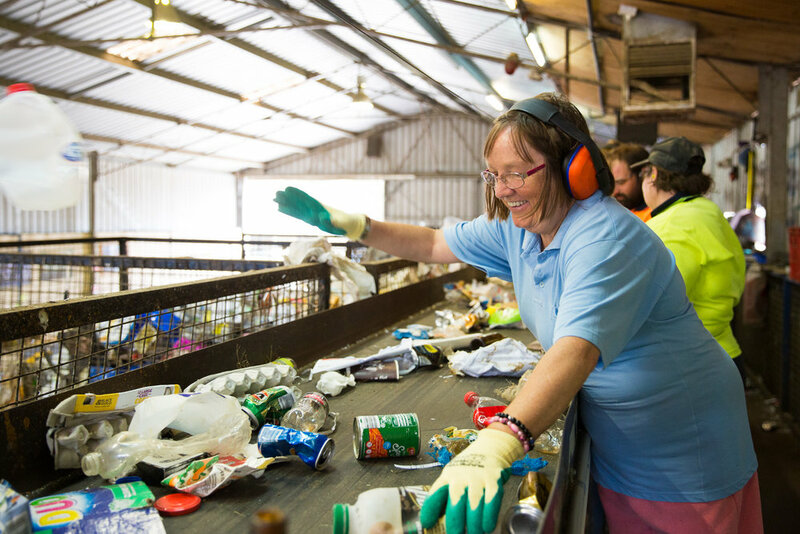 Every day, Aaron takes the school bus (a two hour trip) into Wagga Wagga to work at Kurrajong Recycling. Aaron loves his job, because of the people that he gets to work with. While making friends at school was always hard for him, Aaron really feels the sense of community between him and his co-workers. Having the job enables him to contribute to the bills at home as his grandmother lives on the pension. Aaron plays cricket for Walla Walla and this year was his first grand final ever. 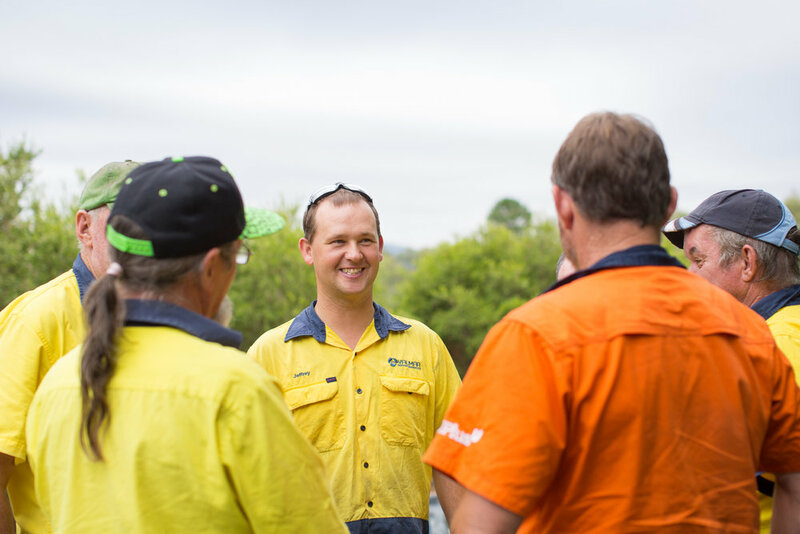 Jeffrey lives in Tumut and since recently getting his P-plates, he drives to Tumut Recycling every day. Jeffrey is directly employed by Valmar support services in Tumut. Jeff loves his job because of the team he works with, which is led by Chris, and it's clear that Chris has a positive impact on the entire team. Anthony works at Elouera Recycling Cootamundra and has worked for Elouera for 7 years. Anthony lives at home with his family and catches Elouera Association transport to and from work daily. Anthony is hardworking, dedicated and always tries his best. Anthony and the rest of his workmates make it a great place to work and they all make up the fantastic team we have today.